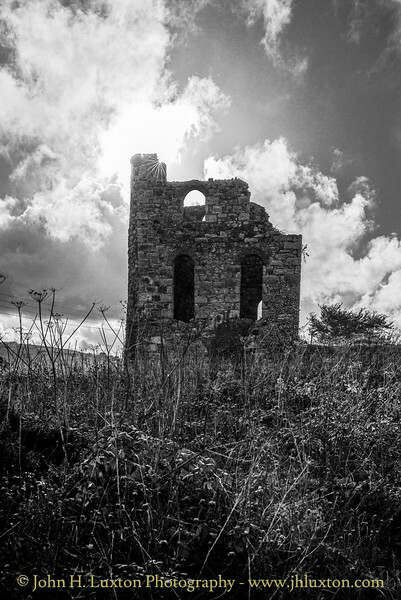 Tincroft Mine was known to exist in the 1680s when it was known as 'Penhallick Vean & Tyn Croft'. 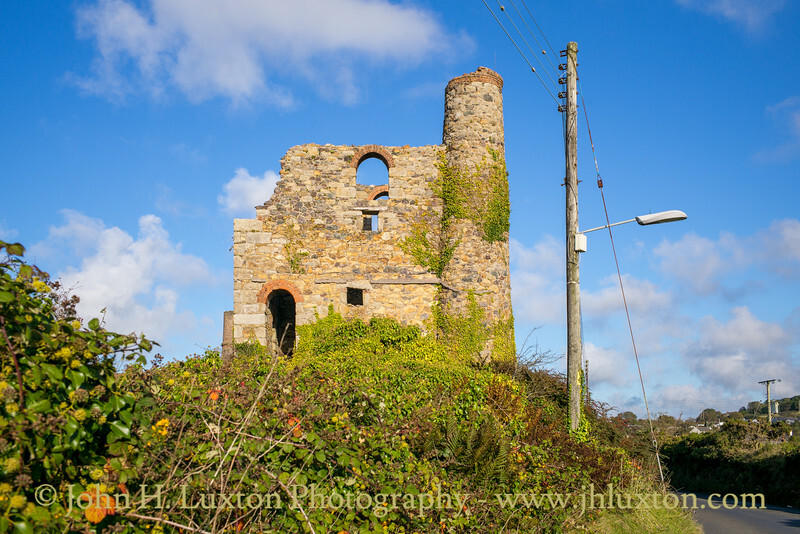 Originally a copper mine, tin production commenced in 1865. 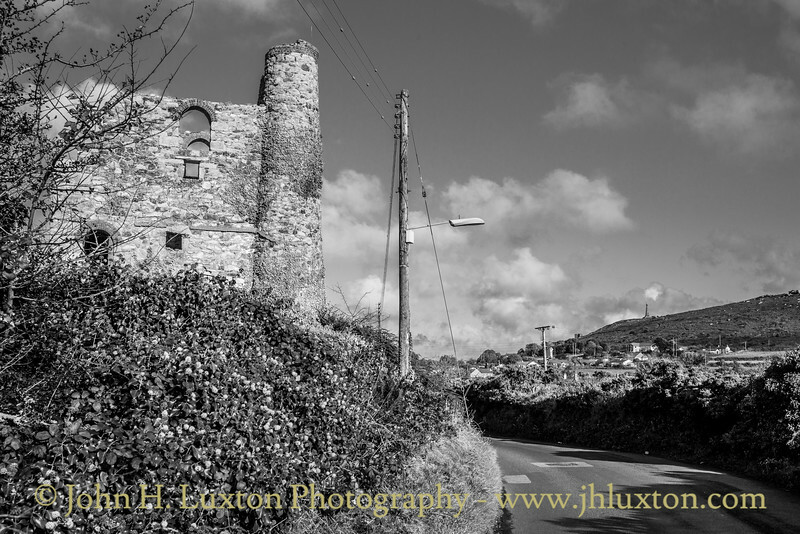 In 1896 Tincroft and Carn Brea Mines amalgamated. 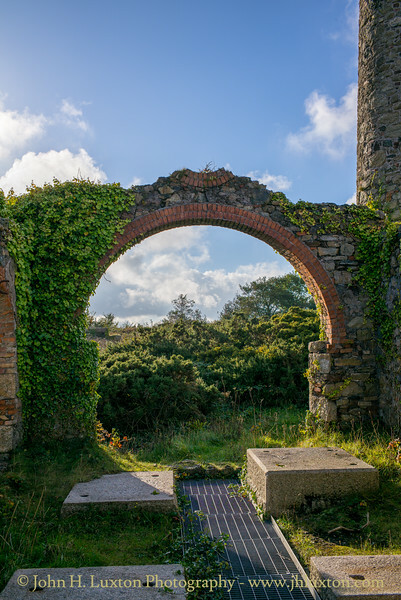 In their lifetime Carn Brea and Tincroft mines produced 460,000 tons of copper and 53,000 tons of tin. Copper production fell between 1850 and 1870 with tin production increasing with advances in mining technology allowing the tin to be worked at greater depths. 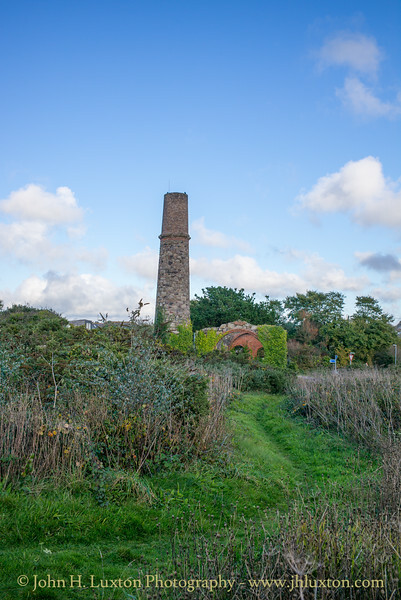 During 1859 A 'man engine' was installed on Dunkin's shaft, connected to a 26-inch rotative beam engine at South Tincroft Mine. 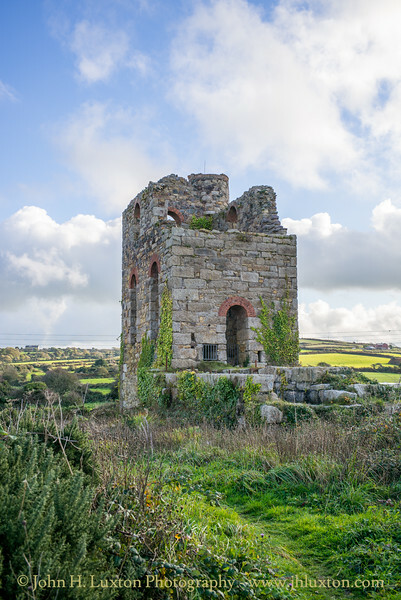 Tincroft and Carn Brea Mines amalgamated in 1896 - records show that in this year the mine employed 466 workers underground and 607 on the surface. South Tincroft mine closed in 1921. 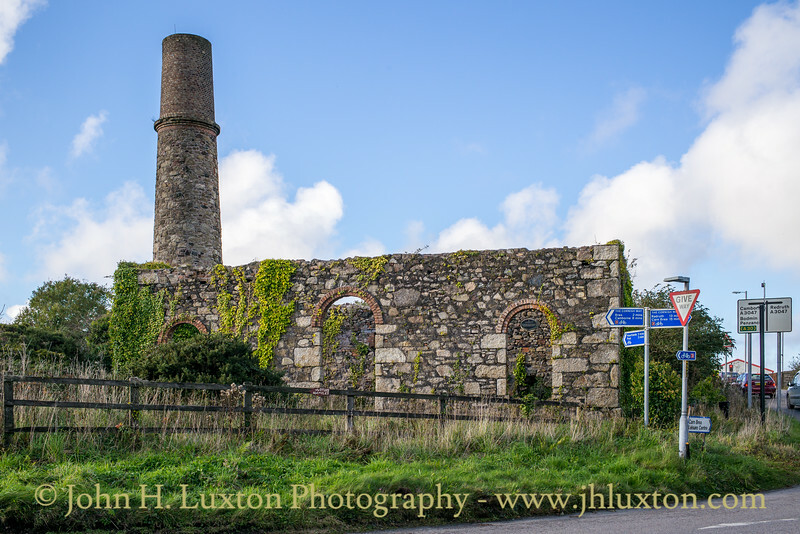 In recent years the remaining buildings have been consolidated and feature as part of the Mineral Tramways / Great Flat Lode heritage trail part of the Cornish Mining World Heritage site. 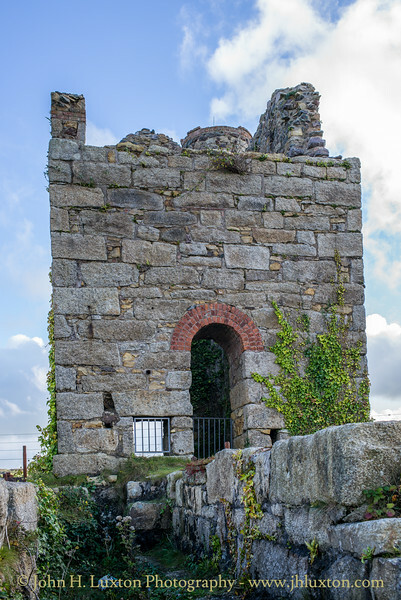 Dunkin's Shaft Engine House at South Tincroft Mine which housed a rotative beam engine for both pumping and operating a "man engine". 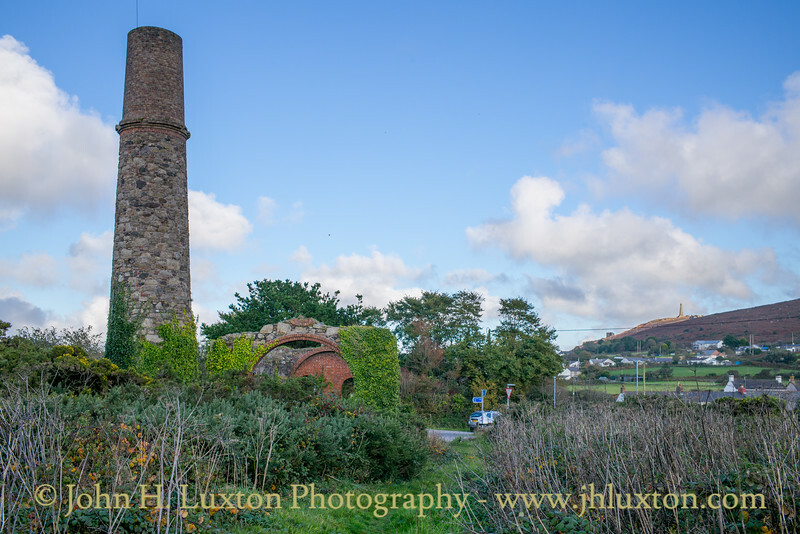 Carn Brea with the Bassett Memorial can be seen in the background. The rear of Dunkin's Shaft engine house showing the loadings for the flywheel of the rotative beam engine which powered both pumps and a "man engine". 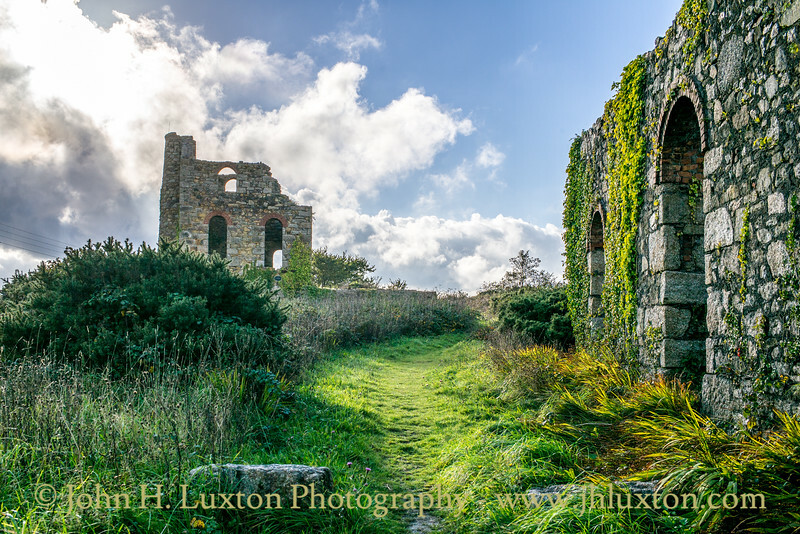 The compressor house of 1891 which housed a Harvey's of Hayle Steam Powered horizontal compressor used to power underground rock drills. 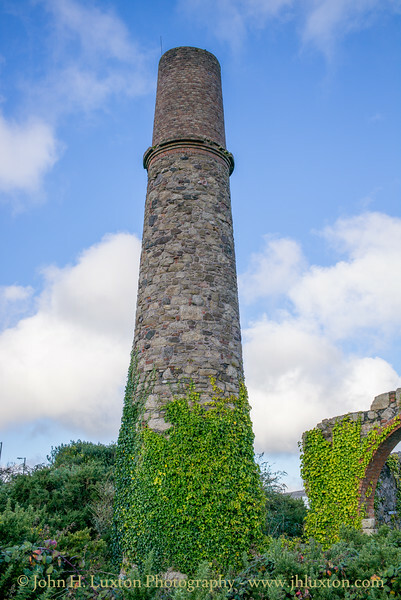 The stack of the compressor house of 1891 which housed a Harvey's of Hayle Steam Powered horizontal compressor used to power underground rock drills. 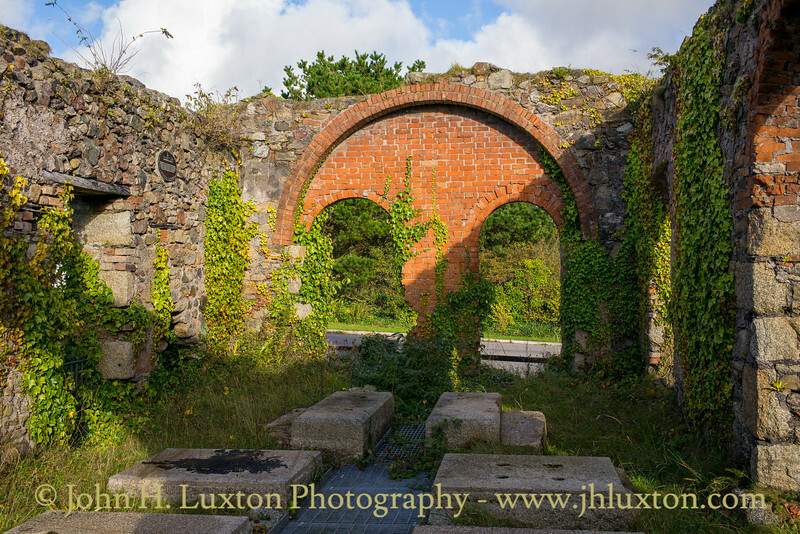 Interior of the compressor house of 1891 which housed a Harvey's of Hayle Steam Powered horizontal compressor used to power underground rock drills. 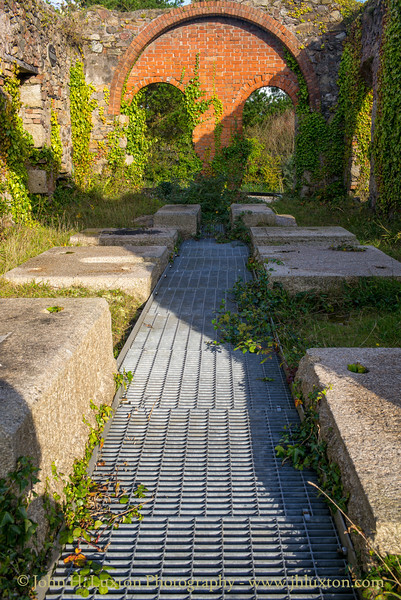 The interior of the compressor house of 1891 which housed a Harvey's of Hayle Steam Powered horizontal compressor used to power underground rock drills. 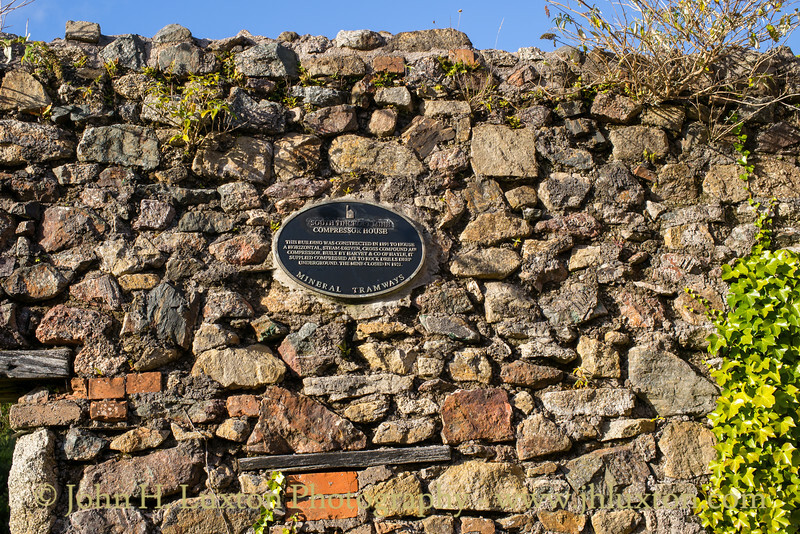 Mineral Tramways Project plaque inside the compressor house of 1891 which housed a Harvey's of Hayle Steam Powered horizontal compressor used to power underground rock drills. 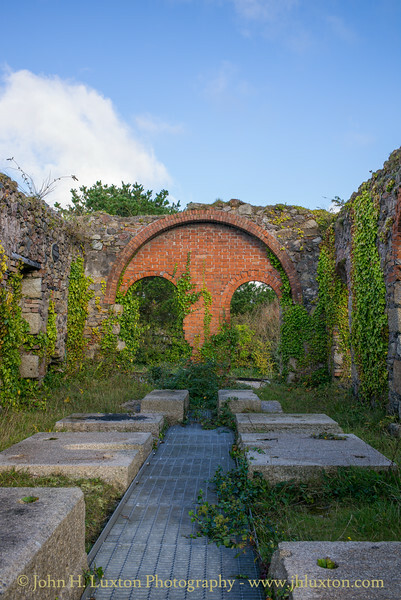 Interior of the compressor house of 1891 which housed a Harvey's of Hayle Steam Powered horizontal compressor used to power underground rock drills. 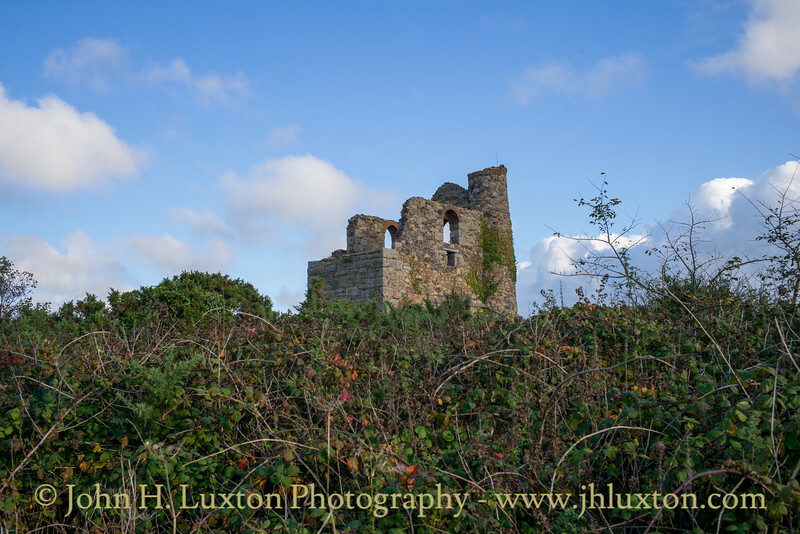 View towards Dunkin's Shaft engine house. 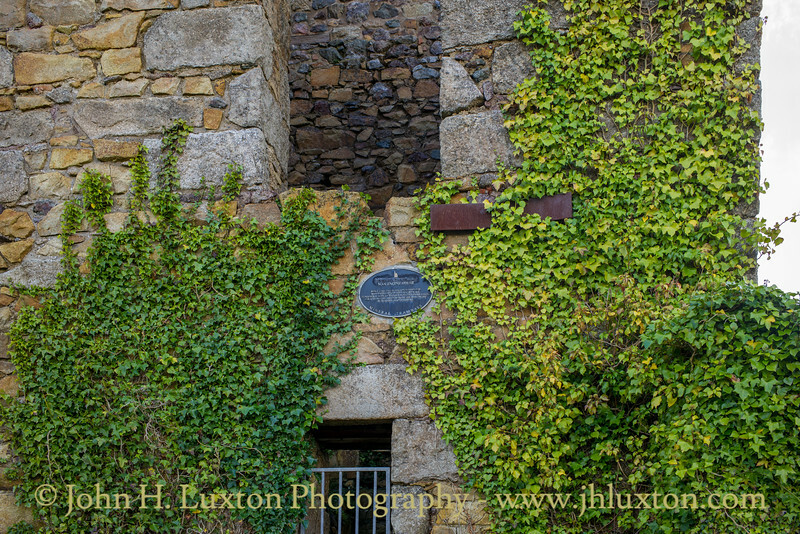 Dunkin's Engine House viewed from the side of the Compressor House.